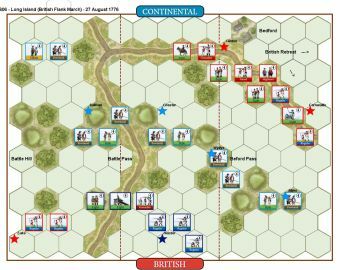 With knowledge of the British whereabouts, it was late August when Green marched his army towards Stewart’s British camp at Eutaw Springs. 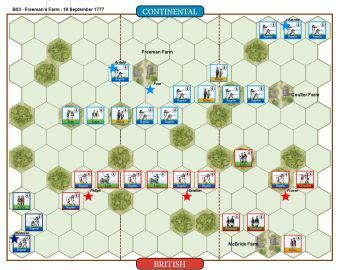 Stewart, unaware of Green’s approach, by chance was alerted when a British foraging party ran into the Continental front line. 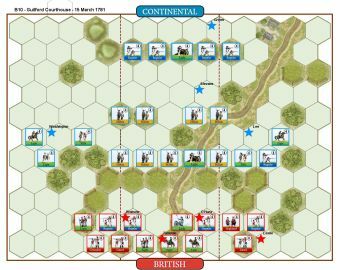 Stewart quickly deployed his forces and attacked. 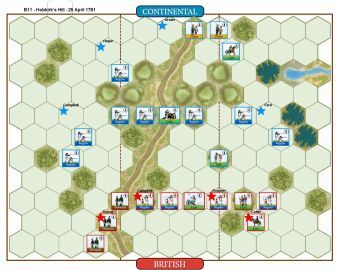 Green had his militia in the front line hoping they would wear down the British attack before he sent in his regulars. 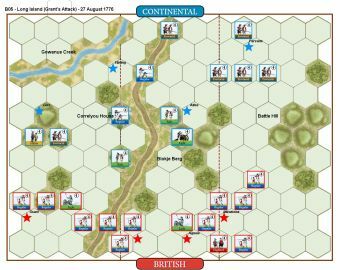 The militia, this day, gave a good showing before falling back. 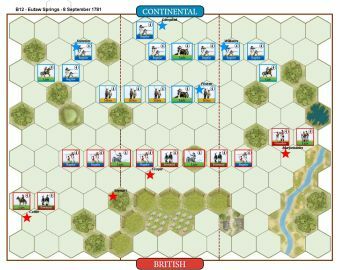 Green then ordered forward his best troops, which went toe-to-toe with the British and finally drove them back. 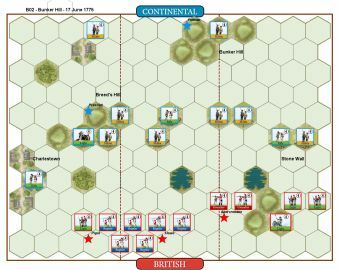 The chance for a decisive pursuit was lost, when Green’s troops saw the chance to raid the enemy camp. 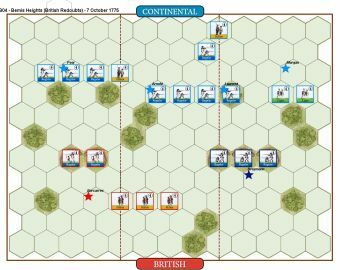 A counterattack by the British drove back the Continental looters. 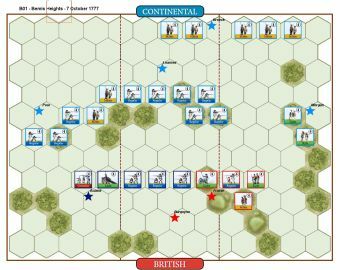 His army now completely disorganized, Green broke off the fight and withdrew. 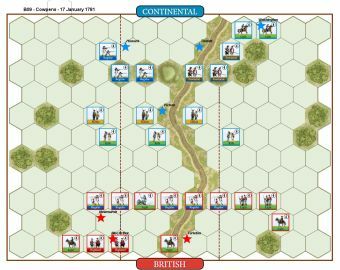 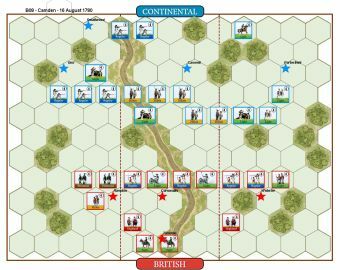 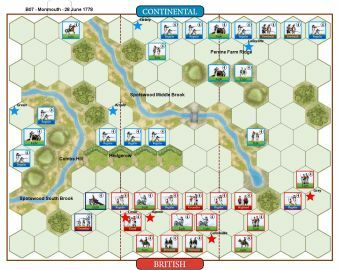 • The Continental player gains 1 Temporary Victory Banner at the start of his turn for each camp hex occupied.